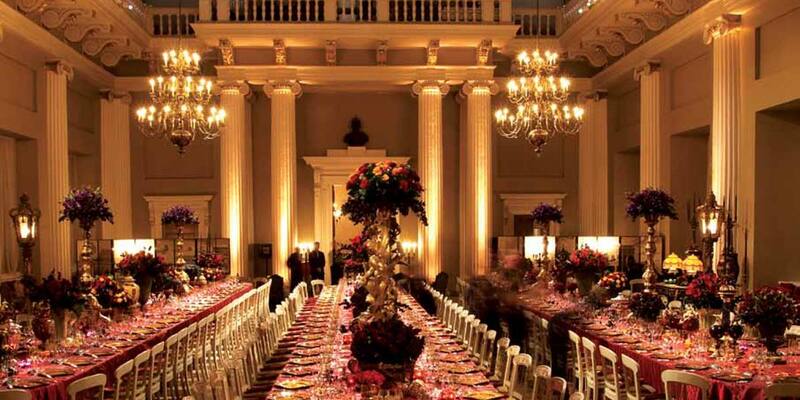 Banqueting House in the heart of London, is one of the finest locations for spectacular events and gala dinners. 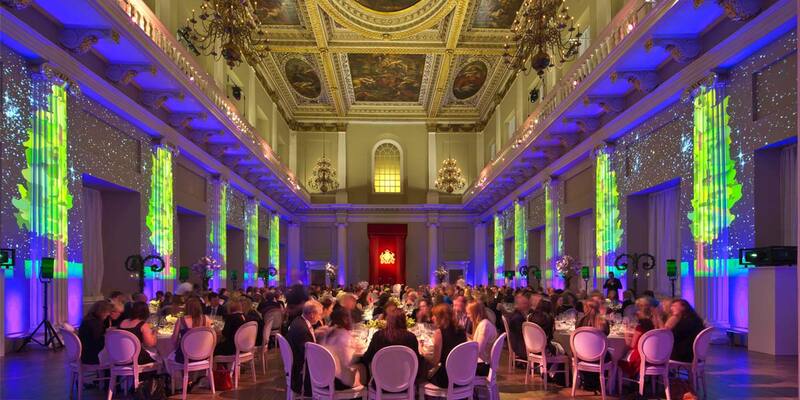 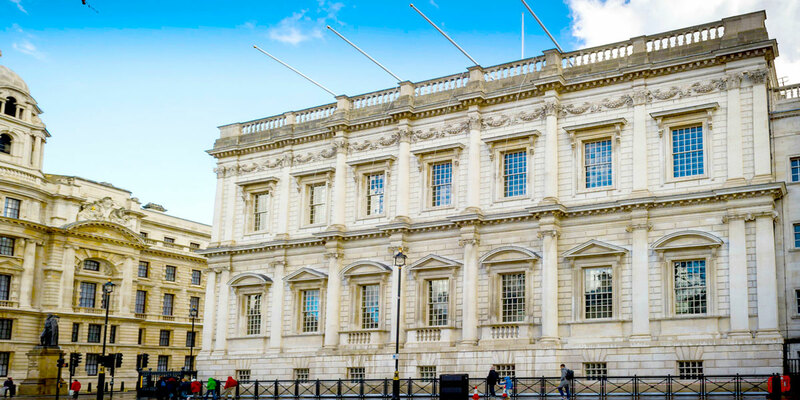 Boasting some of the capital’s largest guest capacities, the Banqueting House event spaces, can host up to 500 for a drinks reception and up to 380 for a seated dinner. 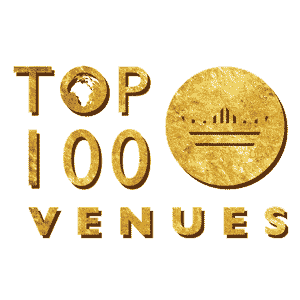 This venue offers a stunning backdrop to stylish black-tie gala dinners, awards ceremonies and presentations. 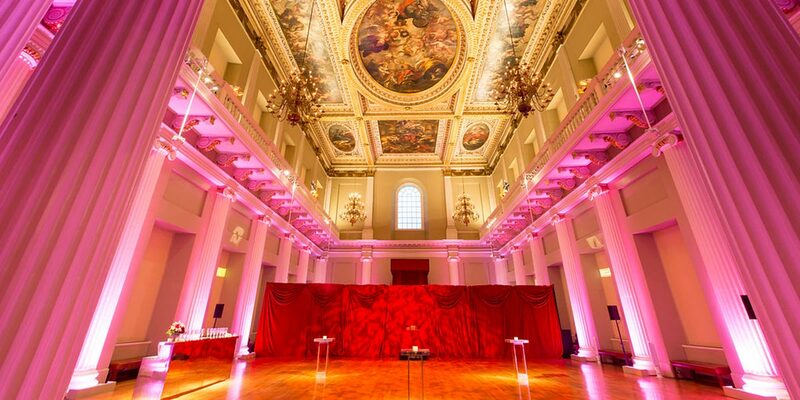 An event here is nothing short of atmospheric, grand and immensely photogenic. 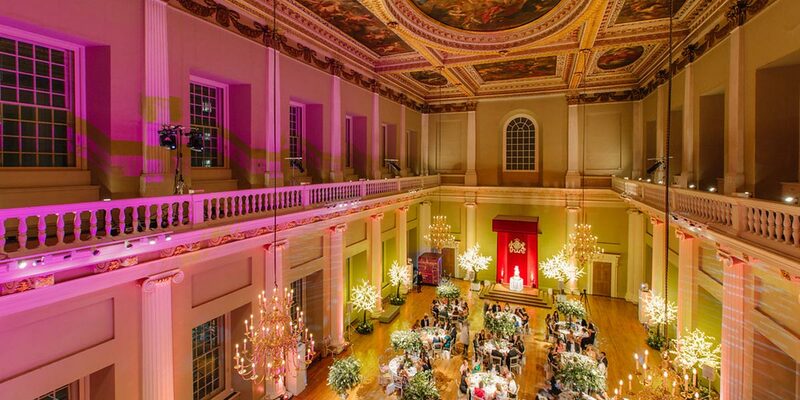 Created for entertaining kings, queens and courtiers in the 17th century, the hall is truly a sight to behold. 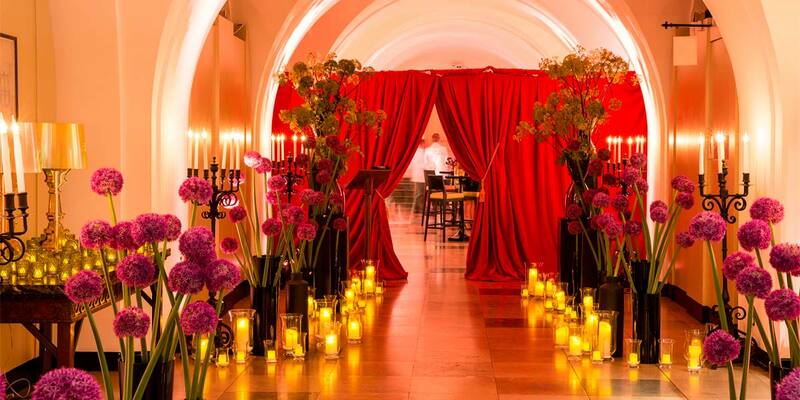 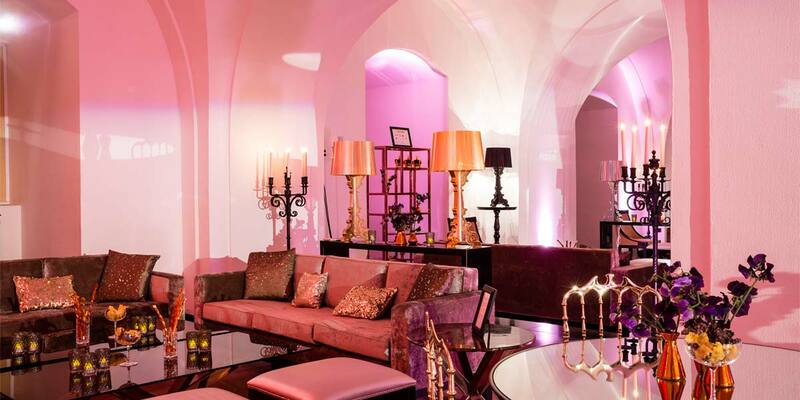 Guests arrive at the venue via an elegant private entry hall before enjoying a decadent drinks reception in the re-styled drinking den of James I, known as the Undercroft. 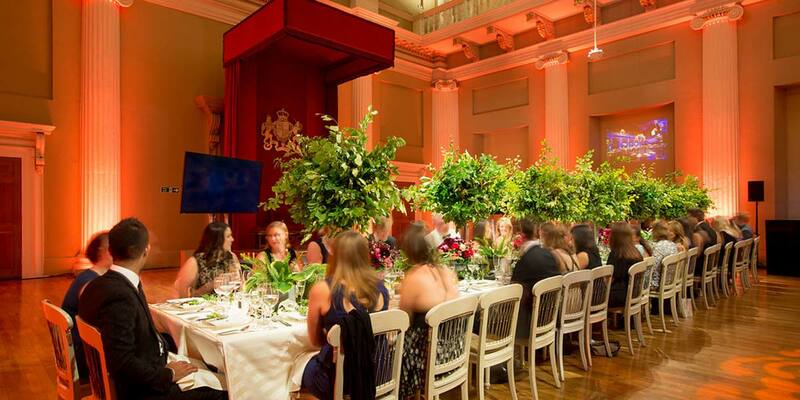 The Undercroft is a large vaulted room that was originally designed as a drinking den for James I and a place to escape the rigours of public life, today it makes the perfect location for a pre dinner drinks reception for up to 380 guests. 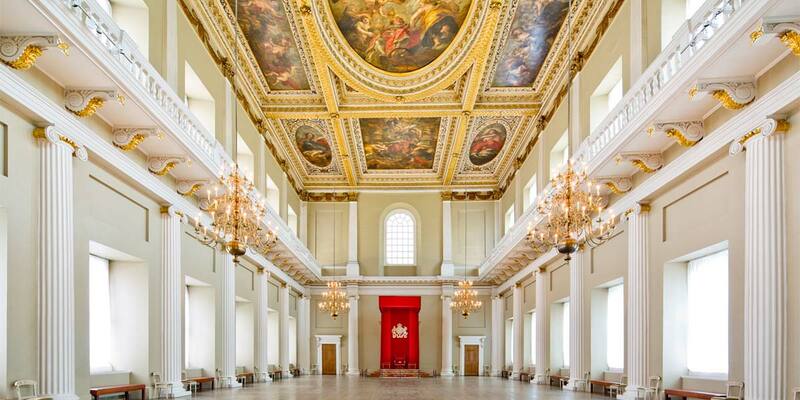 Once ready to be seated, guests follow in the footsteps of kings and queens and ascend the stairs to the majesty of the Main Hall where magnificent pillars and glittering chandeliers draw their attention towards one of the world’s great masterpieces: Sir Peter Paul Rubens’ glorious painted ceiling dating to 1636. 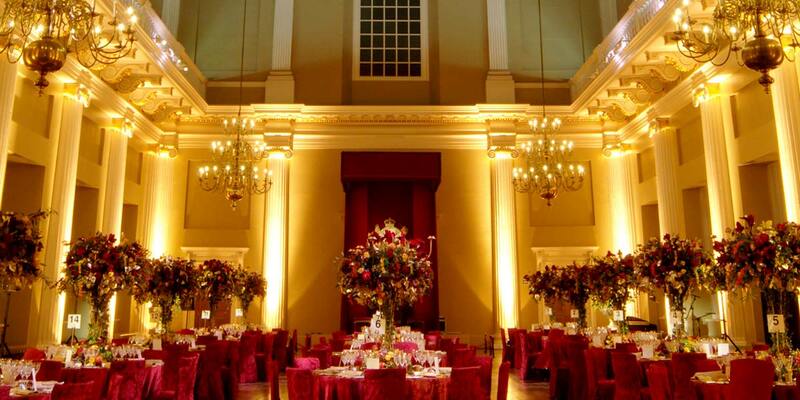 The venue can also be used for weddings and is licensed for ceremonies both in the Undercroft and Main Hall. 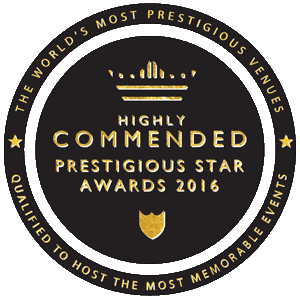 With an approved supplier list that includes some of the top names in the business, events here are truly memorable for all who attend. 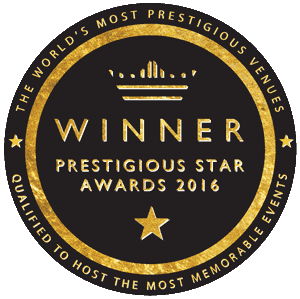 There is space for a stage and a dancefloor as well as a balcony that overlooks the hall, accessed by a small spiral staircase. 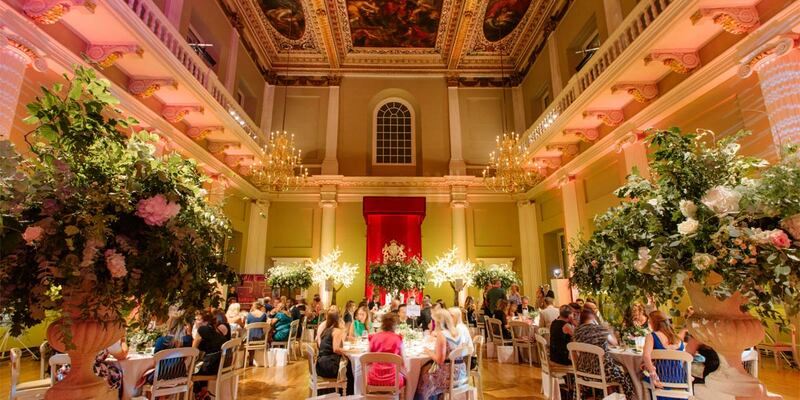 From here, the most magical wedding images can be captured against the backdrop of the Rubens’ ceiling.